Clinical Rotations for medical students. It is extremely challenging for international medical students to secure quality clinical rotations in the United States. Through the Caribbean Medical portal, we provide services to navigate this process expeditiously and correctly. Our services offer the unique opportunity to gain valuable clinical rotation experience in USA, which prepares the international medical graduates (IMG) and international medical students to enter U.S. residencies familiar with the U. S. healthcare system. Our proven standardized clinical rotation program is specifically geared toward the international medical graduates and students. We have a network of dedicated clinical rotation sites, which teaches the next generation of U.S. trained physicians. International medical students can use our services to complete all core clinical rotations and electives. 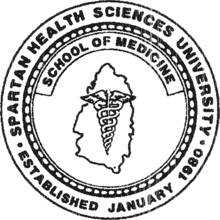 Our program is perfect for the Caribbean educated medical students who rely on U.S. programs to complete their medical education. International medical graduates, who have completed the clinical rotations and still looking into getting into residency in the USA are advised to participate in at least 12 weeks of externships where you can get clinical experience in USA either through a preceptor ship or observer ship.